The performance of female jockeys is equal with that of their male counterparts, suggests a study carried out through the Thoroughbred Horseracing Industries MBA at the University of Liverpool. Using detailed analysis techniques on data covering a 14-year period, the study suggests that, once the quality of the horses they are riding is factored in, the performance of female jockeys is essentially no better or worse than male jockeys. 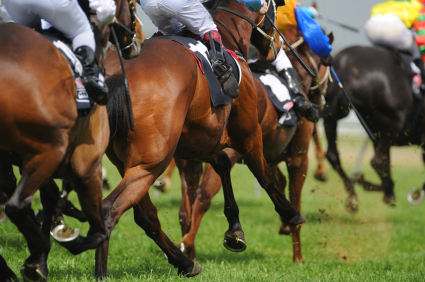 The study is written by Vanessa Cashmore, Work Based Learning Manager at the Northern Racing College and a recent graduate from the Thoroughbred Horseracing Industries MBA. The MBA is run by the University of Liverpool with funding from the British Horseracing Authority (BHA), Horserace Betting Levy Board (HBLB) and the Racing Foundation. The BHA has today reiterated its commitment to take steps to address the disparity between male and female riding opportunities, working with the sport’s recently-formed Diversity in Racing Steering Group. “This study provides further evidence towards something that many in the industry have felt for some time – that there is no reason why female jockeys should not be considered as good as their male counterparts. “We are proud that British racing is one of the few sports where men and women can compete on equal terms. However, if female jockeys are not being given the same opportunities as the men, then this cannot be considered as equality. “Understanding why there are fewer female jockeys than male, and why those jockeys get fewer rides than the men – in particular in higher profile races – is something that we are determined to address, and will be considered by the sport’s dedicated Diversity in Racing Steering Group. As part of the BHA’s ongoing commitment to address diversity issues, it is continuing to monitor the situation in France whereby France Galop has provided female jockeys with a weight allowance in certain races. The BHA will consider the results of the French initiative, the views of the Diversity in Racing Steering Group, the findings of Vanessa’s study and further statistical analysis to be undertaken internally, in the coming months, to determine any short and long-term steps that must be taken to improve equal opportunities for female jockeys. “The research takes us one step closer to putting the tired argument about strength and capability on the scrap heap and focus on changing perception, on changing attitudes and most importantly driving behavioural change. "I am delighted that the investment made in supporting the industry MBA is providing a positive return not just for the individuals completing the course but for the wider industry. The Foundation continues to support training, education and research and welcomes decision makers taking the opportunity to embrace the findings of research to improve the industry for both current and future participants. Vanessa's work and previous research by Oxford Brookes University demonstrate that gender diversity is clearly an issue for Racing and it is great to see it being addressed in an open, informed and constructive way".